Bob Simon will be remembered by Israelis for the many stories he did here - not all complimentary. 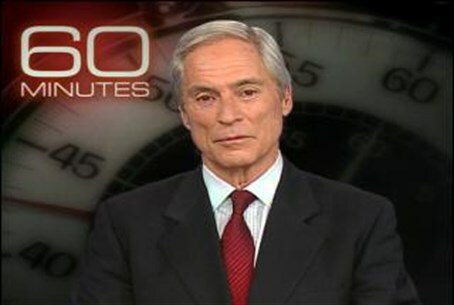 Bob Simon, the often acerbic and controversial reporter for the popular Sixty Minutes television program in the United States, is dead after sustaining injuries in a car accident late Wednesday. Simon, 73, was Jewish, and often expressed his opinion on Israeli policies in the context of his reports. He began working for Sixty Minutes in 1996. Prior to that he had worked for CBS News, and was the network's reporter in Israel between 1977 and 1981. After a six year stint as the network's Washington correspondent, Simon returned to Israel in 1987 as the CBS Middle East Bureau news chief. He was the network's chief correspondent in Iraq during the Gulf War, and was taken captive by the Iraqi Army during that conflict, held for forty days by Saddam Hussein's forces. He also covered numerous other conflicts; Simon was on the last helicopter out of Vietnam when US forces abandoned Saigon in 1975. In Israel, he covered the Yom Kippur War, the first Intifada, the Second Lebanon War, and the many terror attacks Israel experienced during the second Intifada. Simon will be remembered most infamously among Israelis for a report he filed in 2012 called “Christians of the Holy Land,” in which he basically blamed Israel for the disappearing numbers of Christians in the Land of Israel, while completely ignoring, if not rejecting, the contention that Muslim hostility to Christians was the main cause. Jewish and pro-Israel groups slammed Simon for the many glaring inaccuracies in his piece, which included inaccurate population numbers, the ignoring of the role of Islamic law in Palestinian society and its impact on Christians, and the infamous 2002 invasion of the Church of the Nativity in Bethlehem, in which Muslim terrorists held 40 priests, monks, and nuns hostage, vandalizing and seriously damaging the site. Funeral arrangements are pending. While Simon was not a practicing Jew, it is expected his family will opt for a Jewish funeral, sources close to the family said.